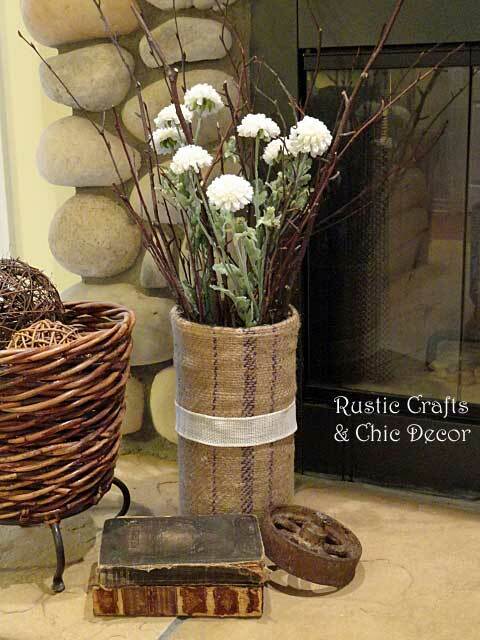 Vintage grain sacks and burlap coffee bean sacks add a bit of rustic charm to a home’s interior. They can be used for upholstery, table coverings, or in other unique ways. If you think these sacks are hard to come by, you may be surprised. I am finding that these sacks are becoming a lot easier to find than what they used to be. It is probably because of their increasing popularity that it is now common for me to see several booths at antique malls with a pile or two of these wonderful grain sacks. Some are in much better condition than others. So, it is always good to pass on those dirty sacks with holes because it is likely that just around the next corner there will be another seller with a better supply. 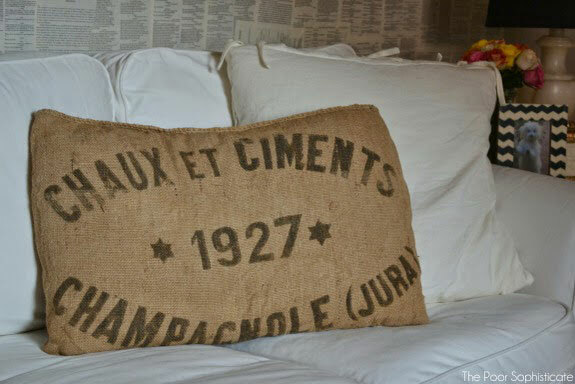 I have put together a collection of several ideas for incorporating vintage grain sacks into your home decor. Some ideas are quite common such as pillows and cushions and others are more unique like this glass vase that I cover with a sack for a warmer look. You can find the details for this project at my post How To Make A Grain Sack Vase. Here is a unique idea that is especially useful for making the most of those grains sacks that are maybe a little too stained to use in upholstery. The rustic artsy look is accomplished by cutting the sack into strips and applying them to a painted board. 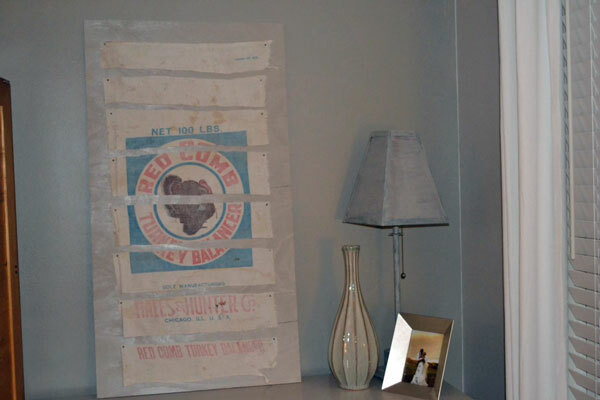 This grain sack wall art can be found at Real Home Love. The Poor Sophisticate shows how easy it is to create your own grain sack pillow for just a fraction of the cost of retail faux grain sack pillows. The best part is that this is also a no sew DIY. 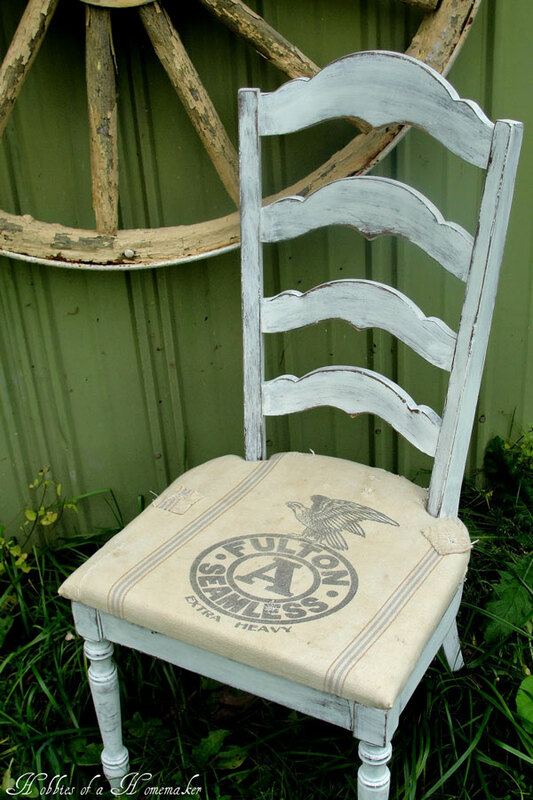 Finally, you can see how cool a vintage grain sack looks as an upholstered seat on a shabby style chair. Found a bunch of vintage grain sacks and made giant ‘carry-all’ bags with mine.